Wise Single Person One-Month Emergency Food Supply | BUDK.com - Knives & Swords At The Lowest Prices! 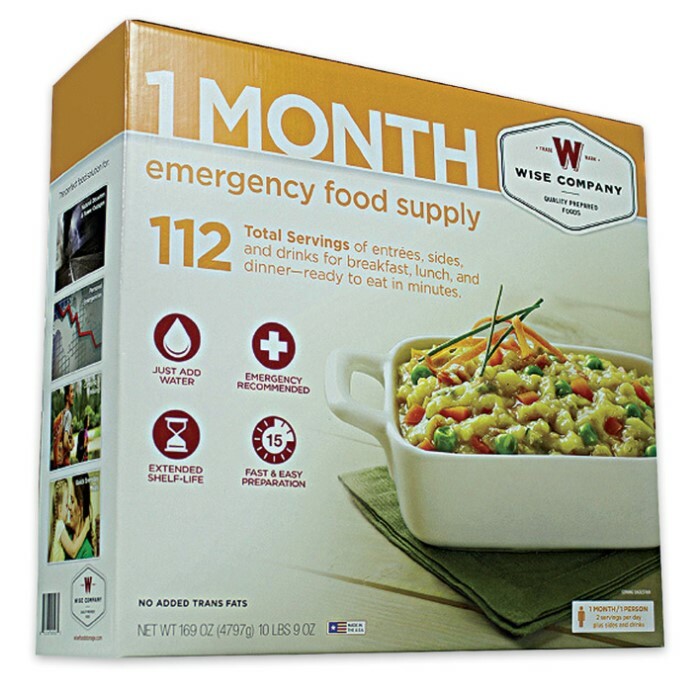 Always be prepared for an emergency with this 1-Month Emergency Food Supply. 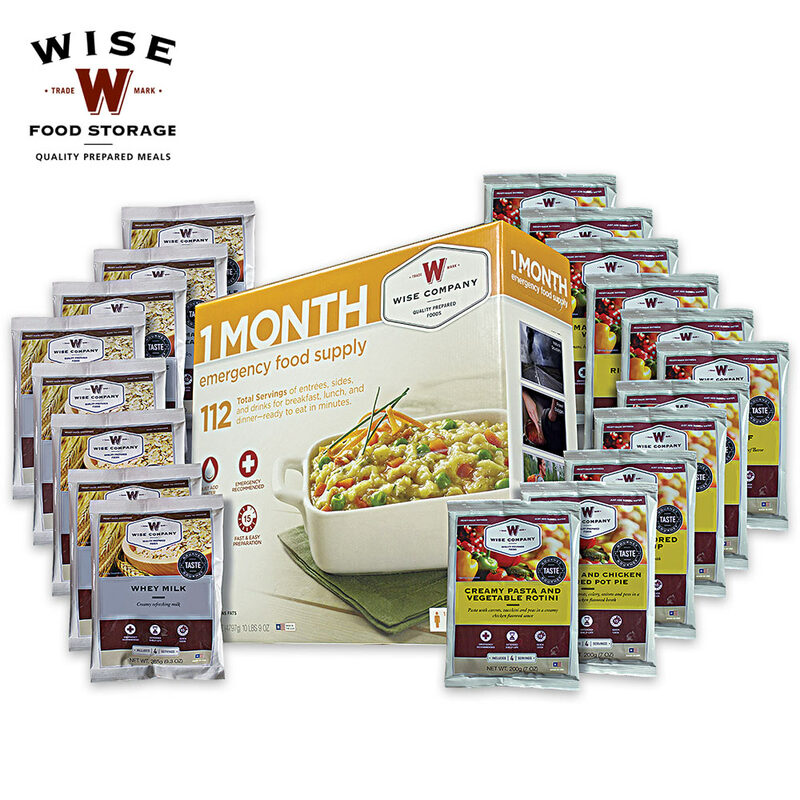 This kit includes 112 total servings of entrees, sides and drinks for breakfast, lunch and dinner for one person. Best of all, each item is ready to eat in minutes by just adding water! 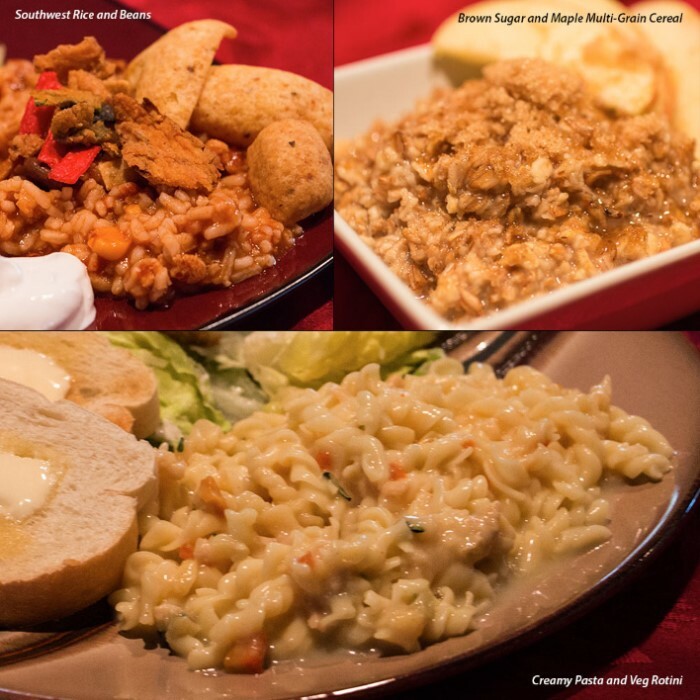 Includes: Brown Sugar and Maple Multigrain Cereal, Granola Strawberry Crunch, Apple Cinnamon Cereal, Chicken Noodle Soup, Potatoes and Chicken Flavored Pot Pie, Creamy Pasta and Veg Rotini, BBQ Beans with Natural Bacon Flavor, Tomato Basil Soup, Southwest Rice and Beans, Rice Pilaf, Whey Milk and Orange Delight. if i could id buy a year's worth! !